Home Article Lyssa Chapman Dog the Bounty Hunter's Star Preparing to get Married with her Fiancee Leiana Evensen; Know Details About their Relationship and also Her Past Affairs. Lyssa Chapman Dog the Bounty Hunter's Star Preparing to get Married with her Fiancee Leiana Evensen; Know Details About their Relationship and also Her Past Affairs. Lyssa Chapman, known as 'Baby Lyssa', is an American businesswoman, former bail bondswomen, and bounty hunter. She is best known for appearing with her father Duane "Dog" Chapman on A&E TV's "Dog the Bounty Hunter". Now, the big lady is planning to walk down the aisle again with her gay partner after her failed married relationship with her first husband. Let's find out in detail about Lyssa Chapman's past and present relationship. The Bounty Hunter star Lyssa Chapman is planning to marry her girlfriend Leiana Evensen very soon. Lyssa gave a clue about the biggest day of her life will be anywhere soon through her social media. And the happiest moment at the Chapman's family is anywhere soon as they will celebrate Lyssa Chapman's upcoming nuptials with her fiancee. Before that, Evensen popped up question to Lyssa while on a trip to Seattle in December 2017 and shared the moment on her Instagram. Leiana grew up in Kaneohe, Hawaii, and graduated from a private school in Honolulu in 2005. Later she started a career as a fitness director at a gym in 2017, and likely met Chapman around the same time. "Lyssa is head over heels in love with Leiana Evensen, who works at The Oahu Club in Honolulu." She's preparing her life and a bright future life with her girlfriend. The pair who currently reside in Hawaii seems to point to happy and prosperous living in days to come. Lyssa Chapman flaunting her engagement ring. It's been a while since Duane's daughter came to the controversy of becoming a lesbian. And now, she's making that happen truly while a buzz thrills a mass of audience. Prior to getting into a new relationship with her girlfriend, Lyssa remained in a married relationship with a guy named Brahman "Bo" Galanti on February 20, 2009. They reportedly married in Oahu, Hawaii. 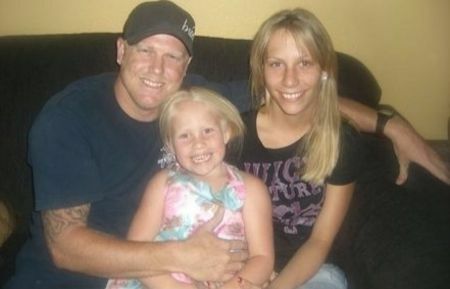 Lyssa Chapman with her ex-husband and daughter. Like the majority of "just-married couple", everything went fine between them at first. Brahman and Lyssa even became the proud parents of a baby; Madalynn Grace Galanti in August 2009. In addition, she has two daughters Abbie Mae Chapman, 16, born on June 11, 2002, and Serena from her past relationships. And yes, she initially indulged herself in a romance with Brendan, a 42 years old man whose identity is still in the dark. Lyssa, 31, was just fifteen years old when she gave birth to her first child. Maybe, Brahman expected a strong man like her father in her life but Galanti started to become violent with Lyssa. Once in 2010, Lyssa even ran across the street in the mid-night towards her parents home, after Galanti went physically assaulting over his women. Numerous time, he left her with bruises, contusions, and a black eye. Even though things went a little bit far from the harsh situation, Lyssa didn't want to publicize it in the media, so she avoids to tell everything that actually had happened in the past. Surprisingly, she gets arrested on March 15, 2011, for "Criminal Property Damage" and assaulting a police officer. After the chaos aroused in the chemistry, Lyssa decided to part away from her ex-husband. And in February 2013, Lyssa called it quits with Brahman Galanti. Lyssa Chapman was born on June 10, 1987, in Denver, Colorado, United States. Baby Lyssa is the ninth out of twelve Duane "Dog" Chapman children. Lyssa got raised by her father until she was 10 and later moved onto her mother Lyssa Rae Brittain in a small Alaskan town. 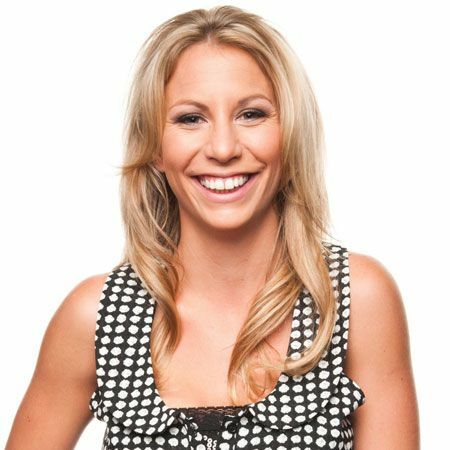 In 2013, Lyssa became the author of the "Walking on Eggshells: Discovering Strength and Courage Amid Chaos." As of 2019, Lyssa CHapman's estimated net worth is $500 thousand.